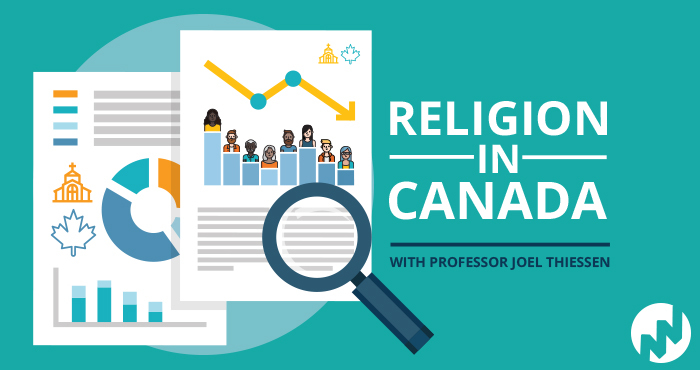 Did you know that “Religious Nones” – those who say they have no religion – are the fastest growing “religious group” in Canada? They represent 24% of Canadian adults, 28% of Canadian millennials, and 32% of Canadian teens. What are other leading religious trends in Canada worth paying attention to today? Why are some people leaving the church and will they ever come back? Why should this discussion matter to our church today? We are excited and privileged to have Dr. Joel Thiessen speak at Westheights this Saturday evening on “Understanding Those Beyond Your Congregation … and Why it Matters”. Joel Thiessen is a sociologist of religion who specializes in religion in Canada. He obtained his MA and PhD at the University of Waterloo before heading to Calgary where he serves as Professor of Sociology at Ambrose University, and is passionate about learning and excellence, from the classroom instructing students, to the research field gathering data, to consulting settings bridging sociological knowledge with ‘real world’ concerns. Joel’s session will centre on Canadian data, setting the stage for an open conversation about how and why this discussion matters for Westheights Church (and local churches). Don’t miss this rare opportunity to hear this author and academic researcher in person, as he shines a light on the sociological trends that have profound implications for today’s churches.